Life on the sandy shores of Georgian Bay means glorious light, warm breezes and carefree days in the sun. 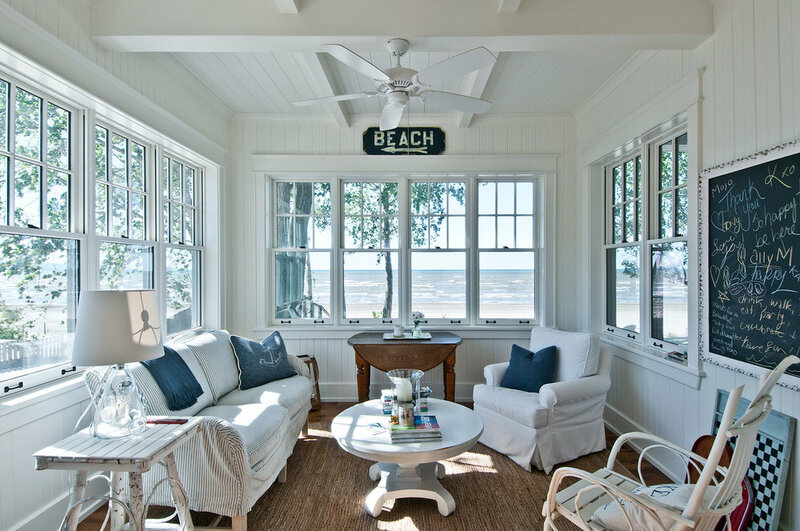 This home, with it’s fresh lines and expansive windows, makes the most of the best parts of beachfront living. Open, airy and bright, the home welcomes you with a beautiful main gathering area. A sunroom off the kitchen makes the perfect place to read and relax, even on the chilly days. Windows all around maximize the spectacular view of sand and water, offering the perfect antidote to the hectic pace of daily life. Peace, pine trees and playtime; three marvellous elements of woodland living. This country home with a modern flair has it all. It has fabulous open family space, with a stunning kitchen and extensive sightlines to the glorious outdoors. A separate area for the children, to create and to play. And an adult haven of peace and tranquility, where parents retreat at the end of the day to recharge. Main floor laundry, mudroom with a dog wash, and two unique work spaces complete this spectacular home. Casual elegance and spacious serenity are the hallmarks of this gracious waterfront home. A spectacular double-sided fireplace anchors the main floor space, while a stunning open staircase elevates the entry. The gourmet kitchen has a lovely coffered ceiling, and opens onto both living and dining areas. This home is built for entertaining, but is still perfect for quiet nights for two. This mountainside home is funky, functional and modern, designed and built for active living. The space has an industrial vibe, but maintains a wonderful warmth and charm. This is a perfect four-seasons home; sand out the back door and mountains out the front. Light-filled, open and lovely, this design maximizes the fabulous setting and creates living spaces made for memories. This Craftsman style two-storey home welcomes you with beautiful exposed rafters and beam work at the front entrance. Once inside, the two-storey foyer opens up to a stunning great room with more of the exposed beams and a floor to ceiling stone fireplace. 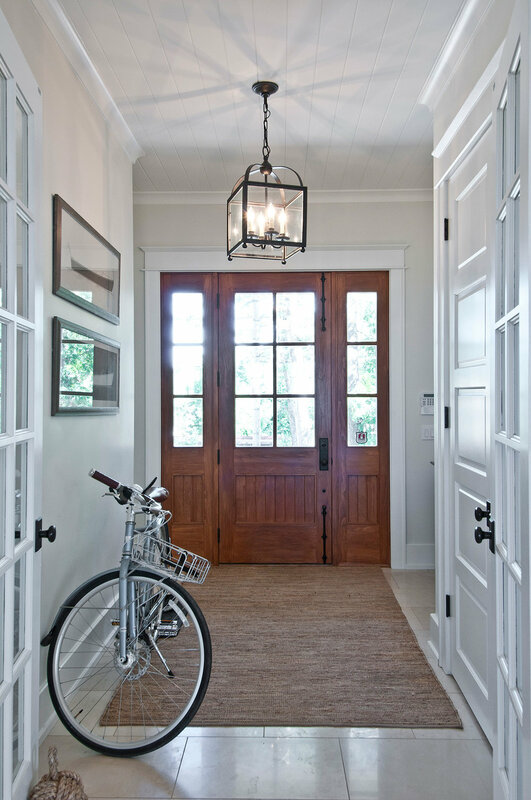 With charming hemlock floors and staircase, the Craftsman charm is felt throughout! This spacious bungalow was built with a family and entertaining in mind. It has a Craftsman feel as well with the exposed rafters and beams on the exterior, as well as beautiful beam detail and tongue-and-groove pine ceilings in the great room. It has a real chef's kitchen with ample space for food preparation while entertaining. The mudroom is well-outfitted with individual custom cabinets to house all the outer wear for the family. The geothermal furnace system generates heating and cooling for the house including in-floor heating in the basement. It's the perfect heating for a basement since it never leaves you with cold feet! The waste product from the geothermal energy is used to heat hot water for domestic use, making this a very efficient system. This modern style home is very functional as well as visually remarkable. From the front entry cabinets that enclose all the clutter of a young family, to the modern design of the kitchen and open living space, this house flows effortlessly. It has a geothermal furnace system as well with in-floor heating in the basement. It has a bonus room over the garage that has been finished as an office in-home. This is a fine example of modern, country living! This lovely updated version of a traditional farmhouse sits comfortably among the historical homes in the neighbourhood. It has many charming characteristics such as multiple high-peaked dormers, wood soffit and fascia and uniquely patterned wood siding. The house comes together with a tone-on-tone colour scheme that results in a striking facade. The great room has a vaulted ceiling and maximizes the impact of the dormers with tongue-and-groove pine. Stunning! The home is built on a slab foundation making it the perfect candidate for in-floor heating which is covered by beautifully hand finished cherry hardwood that is distressed just enough to fit with the style of the house.